Normand “Bill” Belisle was born in Manville, RI, in September of 1929. 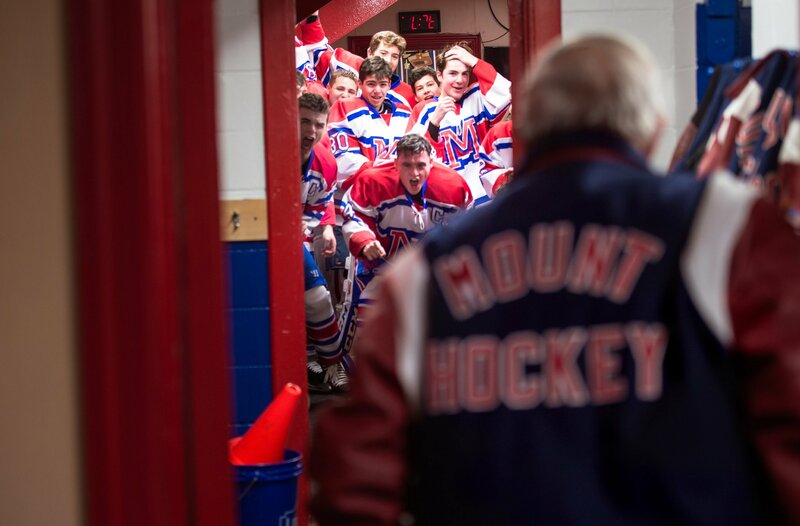 He grew up playing pond hockey in northern Rhode Island before entering Mount St. Charles Academy, where he played on their 1947 state championship team. After a tour in the Army in the early 1950s, Bill returned to Rhode Island and married his high school sweetheart, Yvette (Beaudoin). Together, they raised four sons – William, John, David, and Peter. He supported his family as a heavy equipment mechanic. However, his love for Mount St. Charles led him to give up his higher paying mechanic’s job to become the manager of the school’s Adelard Arena. Shortly after, he became assistant coach of the team, which included sons, John and David. A year later, in 1975, after a period of several losing seasons, the school put the fate of Mount St. Charles hockey in Bill’s hands. 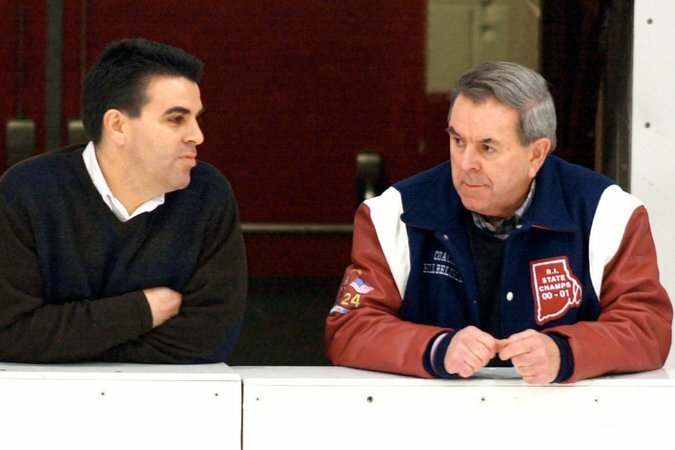 Under Belisle’s tutelage, just two years later, Mount St Charles would win the first of a record 26 consecutive RI state hockey titles. Over the next five decades, with son and “right-hand man”, David, by his side for 38 of those years, he would transform the Mounties into a national power and one of the country’s most famous prep programs. 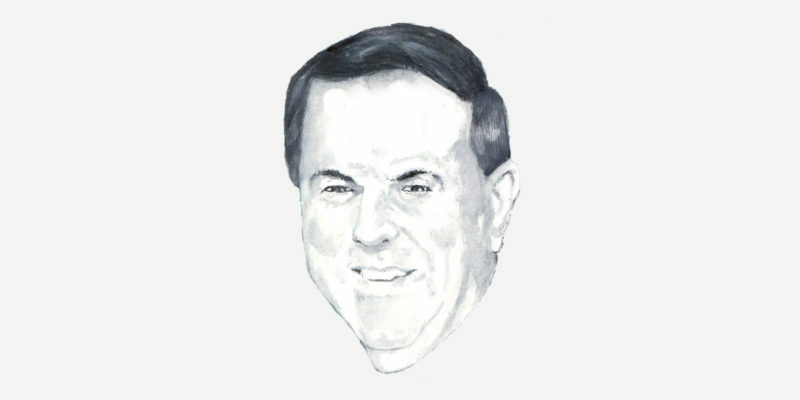 Bill’s remarkable run included many significant milestones, among them: a national record 26 consecutive state titles (1978-2003); 10 consecutive national titles; 32 overall state championships; over 1000 wins; two first overall NHL draft picks, including Brian Lawton, the first-ever American to be selected first overall in 1983, and Bryan Berard in 1995; and more than 20 Mounties who have gone on to be drafted by NHL clubs, including 2015 U.S. Hockey Hall of Fame inductee Mathieu Schneider. Not to be forgotten are the numerous others who earned college educations through their hockey courtship with Belisle and Mount hockey. In 1983, Belisle suffered a near-fatal head injury when he fell to the ice during a Mount practice. He was administrated the Last Rights of the Catholic Church after being rushed to the hospital. But the following season he was back on the ice directing the Mounties again. 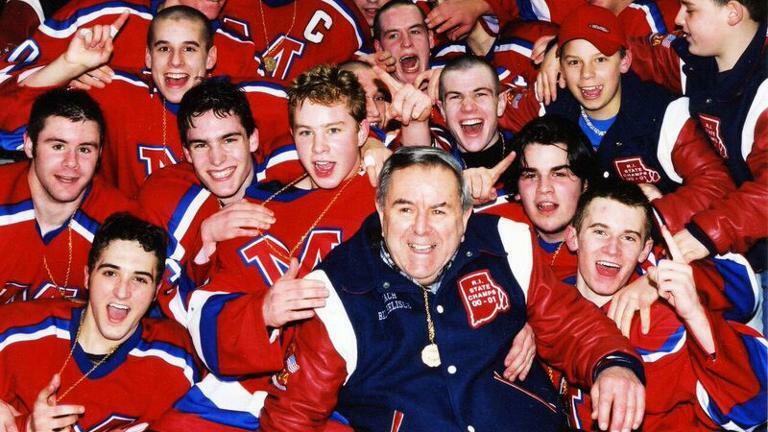 Belisle was inducted into the Mount St. Charles Athletic Hall of Fame in 2014 and in 2017 was enshrined as a richly deserving member of the U.S. Hockey Hall of Fame.